Samar is an award winning professional makeup artist. Have your makeup professionally applied for any event or schedule an appointment with her after your skin care service from The Pretty Face Place. Samar is located upstairs in the very same building here in South Windsor, CT.
Having makeup applied professionally is not a luxury but a necessity in our high definition and digital camera age. Samar will work with you to select the best look for you. Whether it is a natural, bold, dramatic, vintage or elegant application, she will enhance your own natural beauty. You will feel confident knowing that your makeup is appropriate and expertly applied with the latest techniques and best quality products, camera ready and long lasting. She works with all age spans and for any social occasion. Most clients begin with a trial application. This one hour appointment is suggested as a relaxing session before the main event to experiment with and select colors, styles and options. 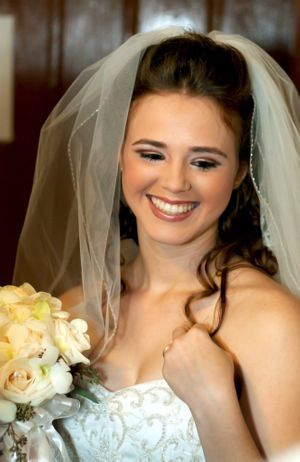 You can select traditional or airbrush makeup. Beautiful makeup begins with beautiful skin. It is suggested to begin monthly skin care treatments in the several months preceding the event. Click on www.makeupbysamar.net for more information, see her beautiful work or to make an appointment.